The flexibility to expand your access control system to almost every opening in your facility. Looking for high security access control delivered wirelessly? Velocity combined with Allegion’s Schlage Wireless Lock System is the perfect solution. When flexibility and scalability is a requirement, Velocity combined with Allegion’s Schlage Wireless Lock system is the perfect solution. Easily upgrade your Schlage mechanical lock system with a Schlage wireless lock, with little to no interruption in daily operations. The Schlage wireless lock system is tightly integrated with Velocity, giving access to a full feature-set typically found only with wired locks. 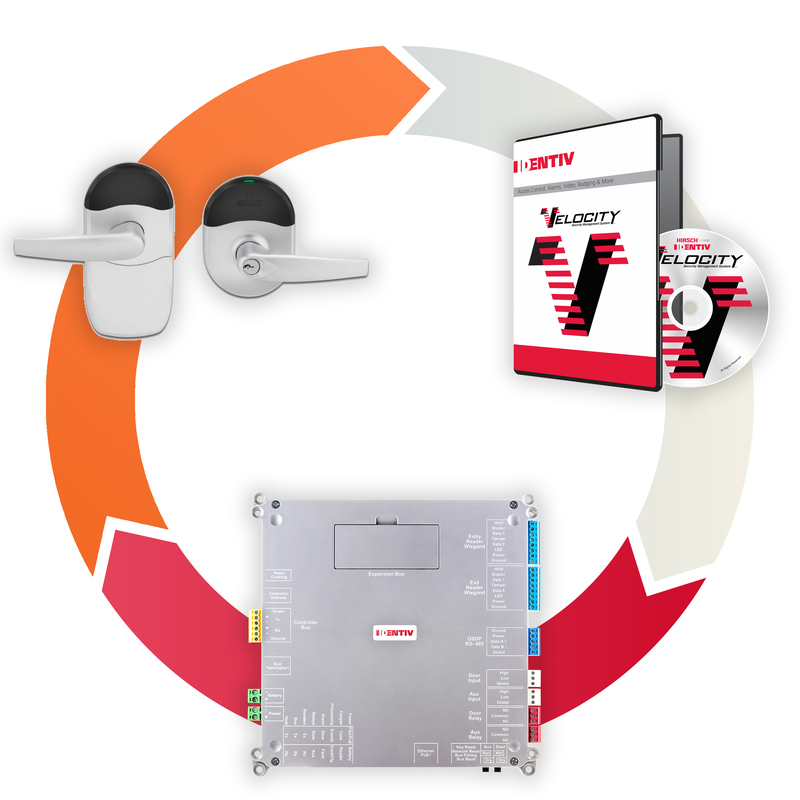 By incorporating the power of Hirsch Mx controllers and Velocity’s configuration and management options with the flexibility of the Schlage wireless lock system, Identiv is able to provide users and integrators with even greater capabilities and design options than ever before. Wireless solutions have transformed electronic access control — by reducing the deployment cost and thus increasing reach and enhancing security, convenience and efficiency. Yet many still only associate electronic hardware with exterior or high-security openings. Velocity’s new integration with Schlage’s wireless lock system expands capabilities to the entire suite of features found in Hirsch Velocity.